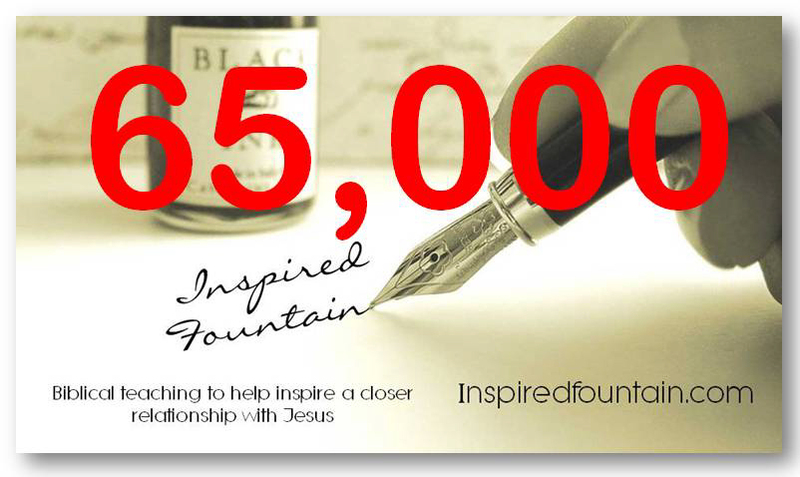 We are celebrating 65k (65 THOUSAND) visits to Inspired Fountain! Folks are reading, folks are hungry for more of God. The platform we use keeps count of how many and where they are reading from – within the last 90 days, over 50 countries* have visited our site. Thank you for reading, thank you for trusting us with your time and your investment in your desire to pursue God. *Countries Reading: US, United Kingdom, India, Israel, Philippines, South Africa, Canada, Australia, Ghana, European Union, Nigeria, China, Belgium, South Korea, Peru, Vietnam, Burma, Malaysia, Kenya, Jamaica, Denmark, Germany, Japan, New Zealand, Switzerland, Netherlands, Pakistan, Egypt, Ireland, Uganda, France, Bangladesh, Brazil, Trinidad, Singapore, Turkey, Poland, Austria, Italy, Serbia, United Arab Emirates, Thailand, Nepal, Columbia, Saudi Arabia, Taiwan, Spain, Zimbabwe, Greece, Norway, Puerto Rico, Indonesia, Slovakia, Finland, Hungary, Tanzania, Qatar, Mexico, Solomon Islands, Kuwait, and Honduras. This entry was posted on January 26, 2019 by Inspired Fountain. It was filed under * Miscellanous Stuff and was tagged with Inspired Fountain.